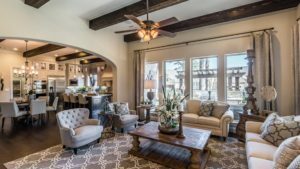 As the Design Gallery and Model Branding Manager for Darling Homes, I’m in charge of choosing the theme, furniture and selections in our model homes. 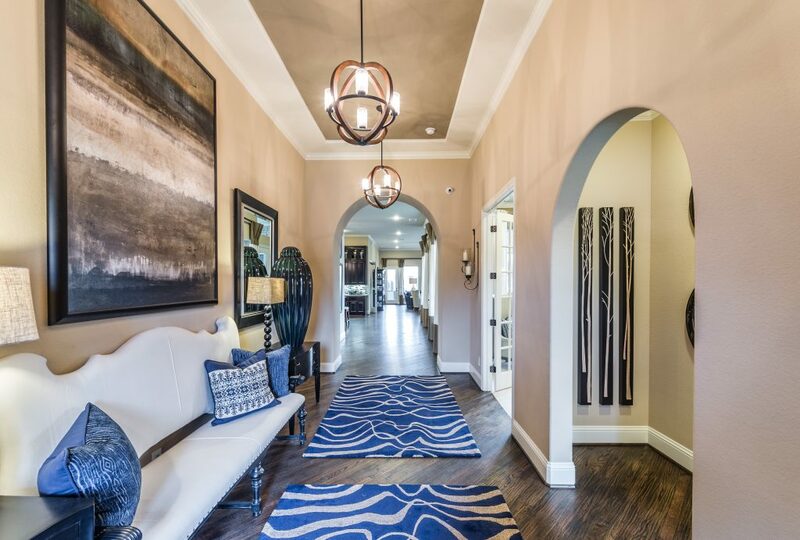 When making these types of decisions, I rely on my degree in interior design and experience in the field to ensure that visitors feel at home when they walk into one of our models. Decide on a color palette. When I’m working on the design aesthetic for a new model home, the first thing I do is create an overall theme or color palette. I suggest you do the same thing for your home. 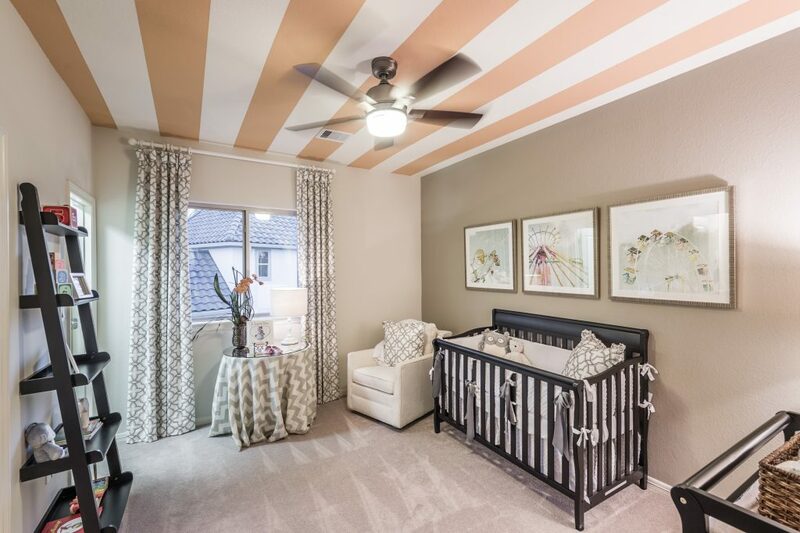 If possible, select the theme and any paint colors before or as soon as you move in — even if you don’t paint or decorate every room immediately. By doing this, you’ll be able to stay focused and select artwork, bedding and other home accessories that match the rest of your home. You might think that placing furniture against the walls in your home will open up space, but in actuality it often creates a cluttered look. 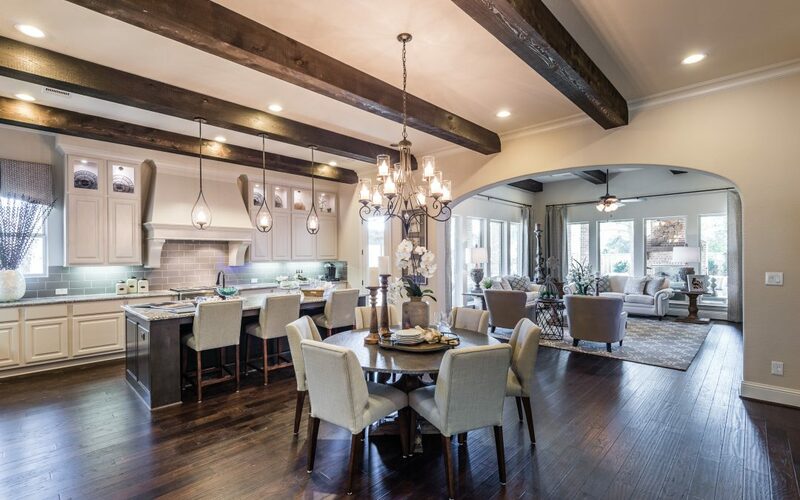 For ideas on how to efficiently arrange your furniture, visit a model home. They feature conversational spaces that have been planned by a professional. Make a splash in the bathroom. 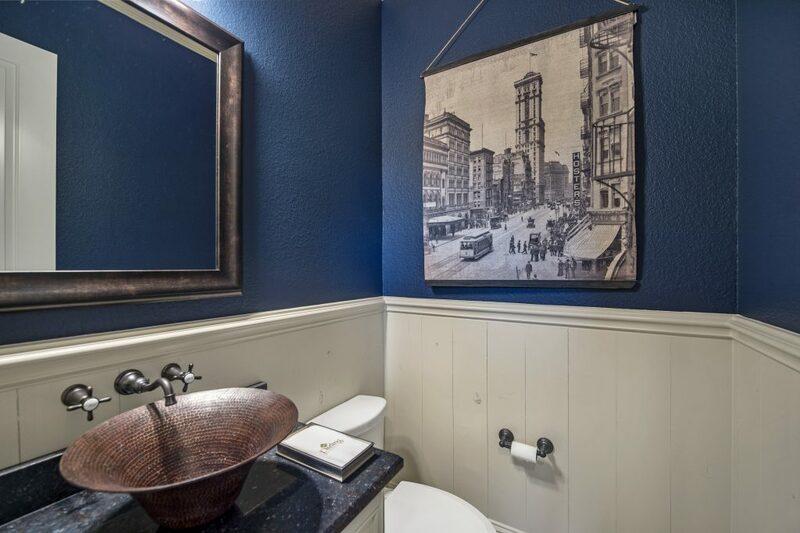 We love dramatic powder baths at Darling Homes. That means a deep rich color or a unique tile pattern on the floor or wall. It might be one of the smaller spaces in your home, but it can make a big impact. 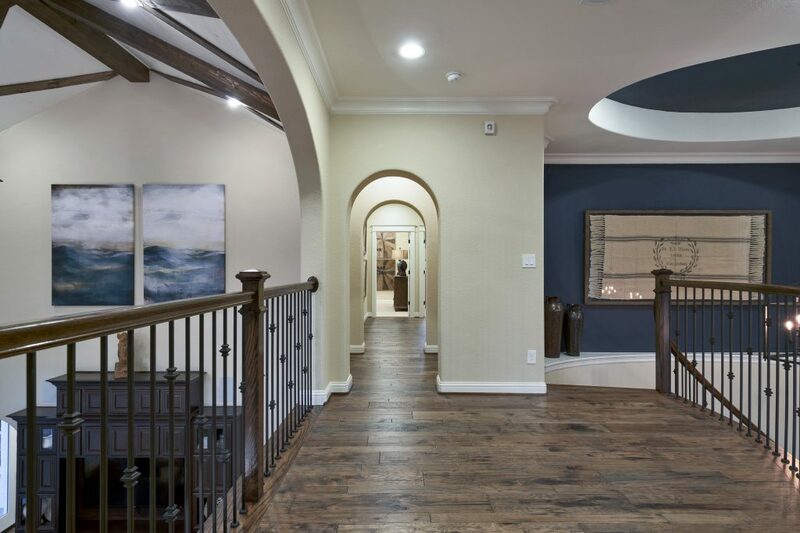 We want to make sure your eye is being drawn to key places in a model home. Most of the time we do that with pieces of art of that make a big impact. Instead of grouping lots of small pieces, which can appear busy and unplanned, opt for something larger. If possible, find a piece that means something to you. 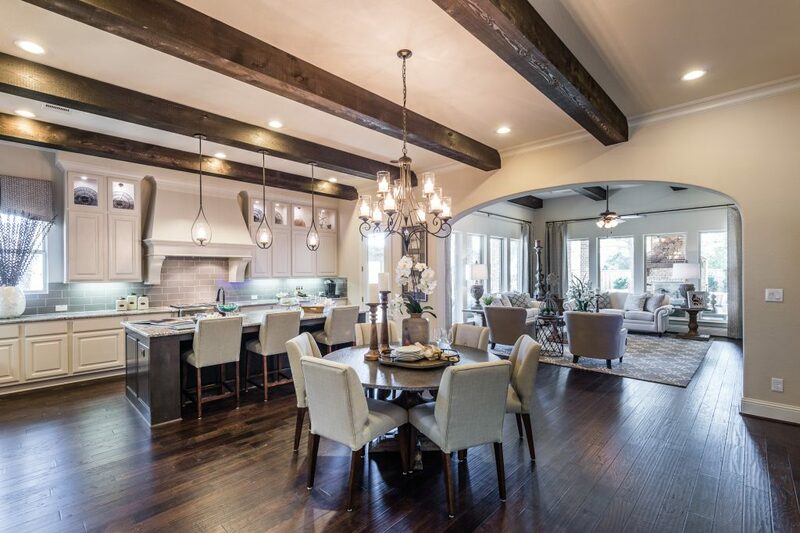 When we’re designing a model, we research who our buyers will be and make sure the home reflects their lifestyles and family needs. Your home should not be any different – it should reflect your personality and lifestyle. Don’t choose a finish or piece of furniture because you see it in a model or magazine. Choose it because you love it! July 28, 2016—Representatives from Gilbane Building Company and Cypress-Fairbanks ISD joined hundreds of construction workers for a lunch and milestone safety celebration in the future cafeteria of CFISD’s 12th high school, Bridgeland High School, on July 27. Dr. Mark Henry, CFISD superintendent, commends the construction workers for their dedication to building the multi-campus site in Bridgeland. 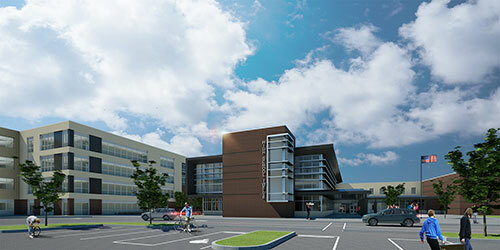 The celebration recognized Gilbane’s progress on the high school and elementary school No. 55, both of which will open in August 2017 and be part of a multi-campus site including a future middle school. More than 600 workers have dedicated 500,000 hours to the project and have successfully completed 353 days without an accident. 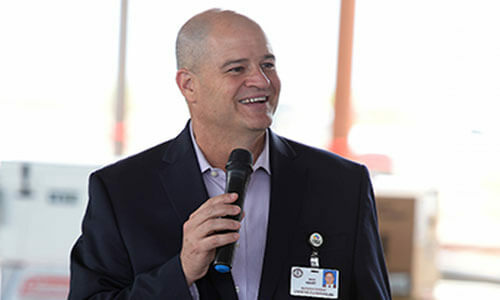 Dr. Mark Henry, CFISD superintendent of schools, addressed the workers on the construction site on House Hahl Road. 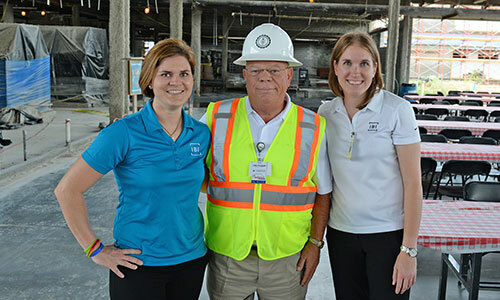 From left, IBI Group, Inc. Assistant Project Manager Ann Frankovich, CFISD Director of Project Management Jody Doebele and IBI Group, Inc. Project Manager Laura Michela attend the milestone safety celebration at Bridgeland High School on July 27. The 128-acre Bridgeland multi-campus site, designed by IBI Group, Inc., will be located between Mason Road and the Grand Parkway. 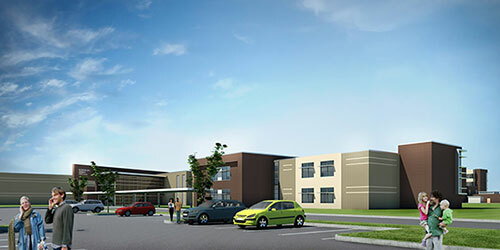 CFISD’s 12th high school, designed by IBI Group, Inc., and constructed by Gilbane Building Company, will open in the 2017-2018 school year between Mason Road and the Grand Parkway. Dr. Henry commended the workers for their dedication on a large-scale project. CFISD Elementary School No. 55 will be part of a multi-campus site in Bridgeland along with Bridgeland High School and a future middle school. For more information, visit: http://www.cfisd.net.